In the town of Wilton, Connecticut, soccer has made a huge impact. Sitting in the town center is a collection basket filled with soccer balls. These soccer balls will make a very unique journey around the world to reach the hands of children of Afghanistan, Bhutan, Iraq, and other Middle Eastern countries. Nick Madaras was the son of Bill and Shalini Madaras. Always competitive, determined, and smiling, Nick excelled on the soccer field and was known as “the defender,” a role he took to naturally. Unbeknownst to his parents, the senior at Wilton High took initiative and enlisted in the Army. When he returned from his time abroad to see his family, he brought back hundreds of photos of happy, smiling children. Realizing the children didn’t have much to play with regardless of their optimistic attitude, he proposed the idea of bringing soccer balls back with him for the second part of his tour. A month after he left home, Nick was killed in action. It was then Bill and Shalini decided to spread Nick’s spirit and love for soccer through the Kick for Nick program, a non-profit organization that distributes soccer balls across the country and the world. 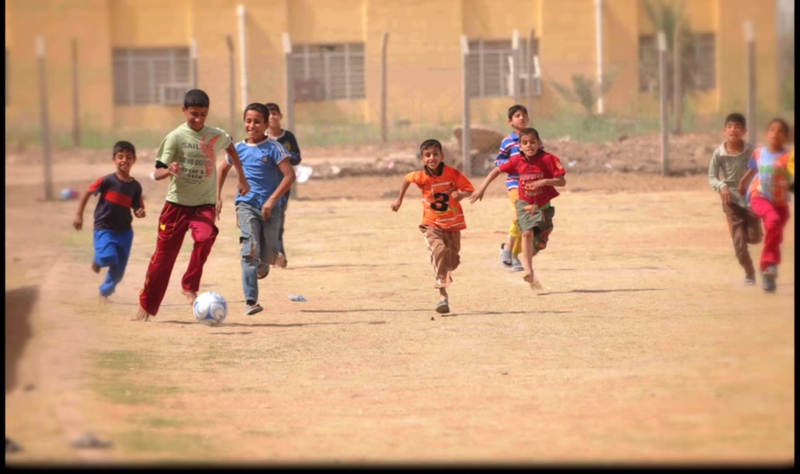 Since 2006, Kick for Nick has distributed more than 45,000 soccer balls globally. Nick’s passion for soccer also lives on through the Nick Madaras Scholarship Award, given to a Wilton High School soccer player who exemplifies the commitment, dedication and sportsmanship Nick possessed while playing. Other memorials include the PFC Nicholas A. Madaras home in Bridgeport, CT, and Nick Madaras Field in Wilton.